This divine pair of drop earrings exude glamour and finesse. A single set sparkling stone sits upon the stud, framed in a silver tone case. 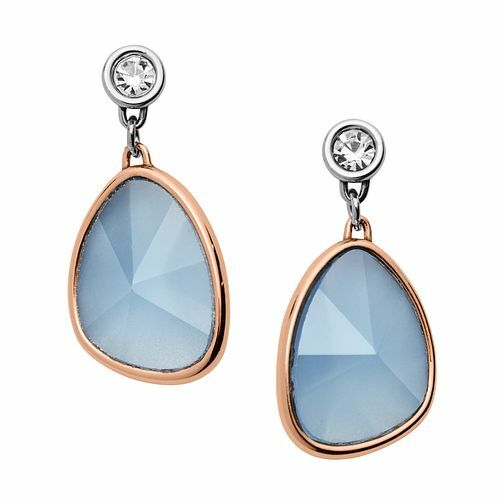 Calming and captivating blue glass charms are designed to dangle, within rose gold tone frames. A trendy and timeless two-tone pairing for the classic lady.